David Bradley crowned Employee of the Year at Godolphin Stud and Stable Staff Awards 2011. David Bradley was named ‘Employee of the Year’ at the seventh annual Godolphin Stud and Stable Staff Awards Ceremony, which took place at the Jumeirah Carlton Tower Hotel in London’s Knightsbridge on Monday 28th February. 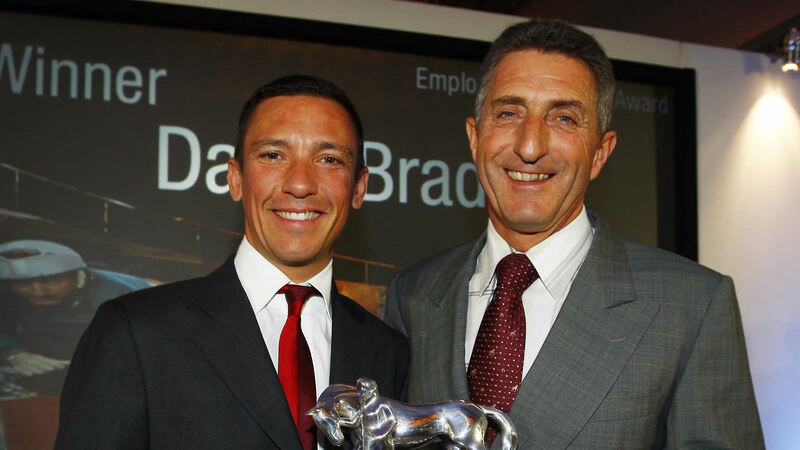 The 57 year-old Head Man, employed by Jeremy Noseda, was presented with the perpetual Godolphin Trophy by Guest Presenter and retained Godolphin Jockey, Frankie Dettori. In addition to the stunning trophy, David was also presented with a cheque for £25,000, of which £10,000 will be shared amongst the staff at Noseda Yard.